When we do tickets on TRIPS it routes 5033 Pg-Kamloops then 5409 Kamloops-Vancouver. And 5159 Calgary-Kamloops then 5001 Kamloops to Vancouver. I just found out about the ticketing change myself yesterday. Even though the Ticketing is set that way, We find it ridiculous that passengers bound for Hope, Chilliwack, or Langley are ticketed to go to Vancouver and transfer to 5020 in Vancouver when they pass through these cities. Even though 5159 is scheduled into Kamloops at 07:00, it usually arrives at 06:45, so most are transfered to 5409 in Kamloops. This ticketing issue is being brought up to management. that does make sense to transfer to 5409 anyways, I can understand if 5409 is full or if their are passengers going directly to Vancouver fine put them on 5001. But ur right any Hope,Chilli and Langley pass should transfer to 5409.Even if 5409 has pass goin to Van and its full they can move them to 5001 and make room for the other pass to Langley, Chilli and Hope. And Trust Me their are a lot of ticketing issues with the TRIPS system and MAX too. Like for example it gives u the shortest way to go no matter what instead of the most direct way to go. I myself can pretty much route anyone anywhere from here without too many issues...their are some exceptions. Trust Me we have a few hiccups in this part of the country with some schedules..that need to be fixed. Out of Thompson it appears Greyhound has re-instated their passenger service to Gillam. The Schedule will depart Thompson the same time it did before at 7pm, except it will operate Daily except Sat. And the return will Leave at 745am Daily x Sun. After Greyhound did their Manitoba cuts this service was terminated at Split Lake. A Gcx service still ran all the way to Gillam though. THis is quite an about face as to running a truck vs bus! They did the same on Edmonton to Saskatoon too added an extra bus run and cancelled the truck, Now it appears that bus run is doing quite well,Should be interesting to see if its going to happen more? A few scheduling Hiccups that we have here in Grande Prairie...If you are coming from Vancouver, Prince George,Hinton,Edson,Jasper to Grande Prairie(which is a better route from those areas) u end up waiting in Edmonton for 6 hrs due to a 15 min scheduling conflict. 5046 from Prince George goes through Spruce Grove at 715am on its way to Edmonton arr at 750am, Where Schedule 5229 leaves Edmonton bound for Grande Prairie arriving in Spruce Grove at 7am. Missing connections by a mere 15 min, in Spruce Grove, All that would need to happen is 5229 would need to leave Edmonton at 645-7 am which is not an issue cause it makes No connections in Grande Prairie its only a local that runs Daily. It doesn't carry alot of people right now anyways, But the more passengers it does carry the better,same with all schedules. It would greatly improve Prince George connections for us. Thats the only real major hiccup in the whole schedule! As of Dec 1 Schedule 5409 will Now leave Edmonton again at 1945 arr Kamloops 6am lv 645am to Vancouver! Also the Rest stop along this route will move exclusively to Hinton from Edson! With the Change of agencies it only makes sense to have it at the HInton Esso Truck Stop the new agent as its open 24hrs. The way I read this means there won't be a chance for a meal at the Castle Restaurant?? Who is making these stupid changes?? Every time I've done that trip on the Hound, the Castle Restaurant is by far the place where most people stop to eat, besides Kamloops of course. Having been on that trip though, I can tell you that you're ready to step off the bus even for a leg strech by Edson. With Jasper closed when 5409 arrives it does make sense to have another break in Hinton though. Bumping the time up out of Kamloops to 06:45 is NOT going to help the situation with passengers coming into Kamloops on 5159 bound for Hope, Chilliwack, or Langley. We're already screaming foul over those passengers being ticketed to Vancouver and back. All Edmonton-Kamloops or Prince George schedules have No agencies open for their arrival/departures.Only exception is 5020 to a point after Hinton -Eastbound. And the Break now gives passengers 20 minutes on both Kamloops schedules,but 35 minutes on 5177..kinda weird. And 10 on 5046. And Yes IM sure a solution will have to be figured out for Kamloops passengers bound to the Valley. What I've done and seen done in the past in Edson when they're closed was stop at the Esso on the east end of town for a break then pull up to Castle Restraunt for passenger and freight services. Some operators would drop off at the Horton's in Hinton which was/is around the corner from the agency and then pickup the folks that were dropped off at the Horton's on the way out. As of Dec 1st Chatham office is closed. For now it is just a flag stop. Ahh one of Abouttown's casualties!! I think they will probably all stop at the Agency now!! Which is a 24 hr Esso store. As of Jan.24 Northern Express is No longer an interline carrier with Greyhound!! !! I wonder whats up with that?? Maybe Greyhound plans to restart the Cold Lake and Peace RIver service them selves?? Anyone know?? Effective Feb.1 Schedule 5229 Edmonton to Grande Prairie and 5064 Grande Prairie to Edmonton will Only Run Monday to Friday!! The other two schedules will remain Daily!! Maybe Northern Express wasn't paying Greyhound commission on the Greyhound portion of the tickets? No idea, Not sure how interline works exactly..But it will be a huge blow for many people as they ran Edmonton to Cold Lake and Edmonton-Peace River-High Level and it was well used by connecting Greyhound passengers! However rumors are about that Greyhound May re start the Edmonton to Peace River schedule....Now Northern Express has built up the clientele ..But we will see if it comes to play in the next few months. Foam Lake,Sk agency is Closed until they find a new one, Bus Stop still at Old agency. Mackenzie Bc changed agents this week. Some schedule changes in the East coast. (Ontario/Quebec) and other changes in Southern Ont/ Western Canada effective Sept 3 ,10th and 12th to the following schedules. Please note service to this location has been cancelled effective Sept 3 2014. Please contact your local Greyhound agency or call the National Customer Service Team @ 1-800-661-8747 if you require assistant with your reservation. 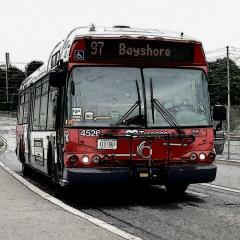 and the further change to the Ottawa ~~> Cornwall shuttle (Table 784C) which now operates Thurs Fri and Sun. instead of Tues,Wed,Thurs. Effective Aug 27 the Greyhound Truck schedule from Calgary to Fort Mcmurray via Edmonton was cancelled! This is a very interesting turn of events...I assume all Freight will now go on the trailers. Some drivers have to re bid in the Edmonton division too, as it effected the Peace River,FOrt Mac and Grande Prairie runs. I was looking for a friend of mine who was planning to head to Toronto from Grande Prairie at Easter break and return a week later...However I've come upon some interesting schedule issues. He tried to book online and I again checked on trips thinkin somethings up... Eff it looks like mid Feb their is Only 1 East Schedule out of Calgary the 11:30am However coming back he was not even able to book anything at all!! As East of Winnipeg it shows only The 845am out of Winnipeg East and Heading West is even more mind boggling Shows u get into Winnipeg from Sudbury at 735am...And The Only 2 schedules going west lv Winnipeg at 11:30pm for Hwy 1 and I think 6:15pm Hwy 16. Does that not sound really weird or what!! And u cant go via Saskatoon it gets into Winnipeg at 915pm and leaves East at it looks like 845am!! I didnt think passenger volume was that bad to cancel an entire schedule from Calgary to Toronto>?>?